Dealing with rude, aggressive and difficult people is challenging at the best of times and when you have a crazy person standing in front of you who is rude or insulting, it can be daunting even for the most seasoned expert. A courageous conversation is one we don’t want to have usually. It’s the one we dread because it means that things between you and the other is not right and has to be fixed. We may have to tell them some unpleasant untruths (or get them ourselves) and it can be hard. Courageous Conversations arise in different ways. Communicating effectively must be a key part of these conversations by you learning how to be assertive. We know that we need to confront others who are rude or difficult— but we also know that we are taking a risk. A big risk. Who knows what the reaction may be and if the outcome will be peaceful or not? Having strong interpersonal skills is critical to women at all levels of business. 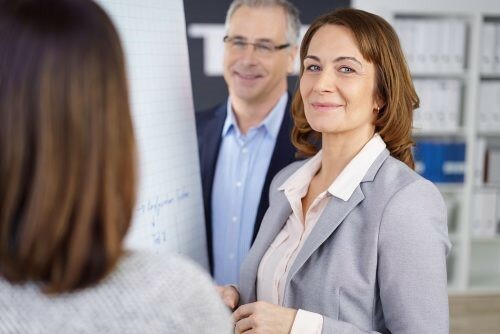 Read more about Communicating Assertively and Confidently as a Woman in Business here. Don’t delay. Contact us today to help you weave your way through the delicate minefield of Courageous Conversations.